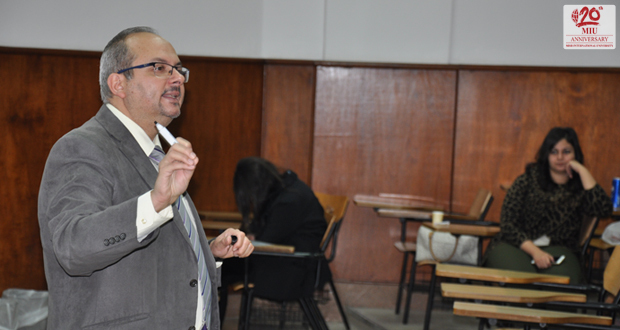 MIU welcomed Dr. Magued Naguib in the first part of a workshop on “Compensation and Benefits” on November 28. The workshop was conducted under the supervision of the Faculty of Business Administration, Management Department for 60 students. The first part of the workshop covered the topics of establishing a strategic pay plan. 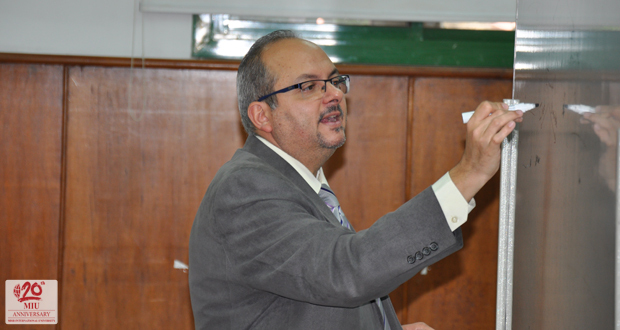 The workshop also included the designing of an Effective Performance- based Incentive Plan.